There are some things that, despite our best efforts, just don't play well with us. List below. Mediavine strives to play nice with all others, but once in awhile it just doesn't happen. The following things don't work with us, so take a peek and if anything looks familiar please investigate more! Automatically enables ads (Disqus Reveal) when you reach a certain size. Apply for exemption to remove ads. Automatically enables new ad units. Drives down performance of MPN ad units and causes your earnings to be reduced. Log in to toggle off ads. Mobile share buttons in the footer push our mobile adhesion over the content, causing a Google policy violation. Disable or move location of mobile share buttons. Alters HTML of both slideshow posts and non-slideshow posts and causes a conflict with in-content ads. If enabled, will cause serious RPM implications on mobile. Alters the load order of site elements, causing inconsistencies in the loading of Mediavine ads. Search the site HTML for "dojo". If the code contains that, it is the version that conflicts and needs to be removed. Lazy Loading of iframes is a conflict with Mediavine ads, which are lazy loaded. Doubling up on lazy loading causes our ads to get lazy loaded twice, significantly harming site performance. It also causes an embedded Mediavine Video Player to display a loading screen. If plugin allows it, make sure plugin is set to ONLY lazy load images and NOT iFrames and other embed types. Otherwise, remove / disable the lazy loading feature. For further information, see our article on Lazy Loading Images. Thrive Architect wraps your content in a <div></div>. Our script will not break up content wrapped in <div></div>, which means you would have no in-content ads. If you have implemented Thrive Architect on every page site-wide, we can adjust your in-content selectors to accommodate. If you are only using it on some of your posts you will need to Manually Place Ads in Your Content Using Content Hints on the posts or pages affected. Breaking your HTML is never great for SEO, so you might also want to research other less-invasive marketing solutions. Visual Composer removes paragraph breaks by stripping out <p> tags in HTML, essentially forcing all content into one paragraph. Our script will not place ads within a paragraph, which means you will have few in-content ads. 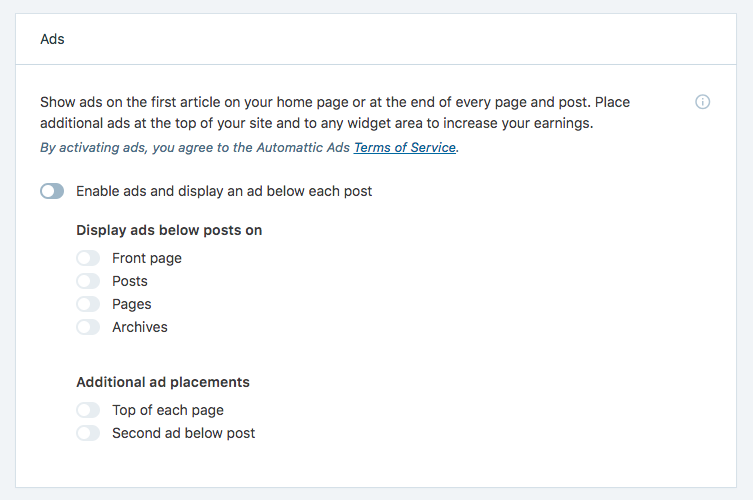 If you are using it on some of your posts you will need to Manually Place ads in your content using content hints on the posts or pages affected. This prevents in-content ads from appearing on desktop and mobile ads. These themes automatically enable "Smooth Scrolling" which can affect performance of in-content ads. Causes issues with viewability and performance. Some redirection plugins are used to redirect any and all 404 errors to a page that you set, using 301 (or any other) status. These cause issues with our script that result in server overload. It is common for ads to request resources that do not exist or that they do not have access to, but typically they will return a 404 or 401 error that does not affect performance. However, with a plugin that redirects any and all 404 errors, it causes each of these to result in an additional page call, putting more load on the server and affecting the overall performance of the site and ads. However, if the redirection plugin is engineered to only redirect specific urls, then this shouldn’t be a conflict. Running Jetpack's ads conflicts with our exclusivity agreement, and also breaks the auction causing your Mediavine ads to not perform well. Disable this setting in your Jetpack Settings in the Traffic section.